(1) A web portal called ShaGun(from the words Shaala and Gunvatta) which has two parts i.e., one is a Repository of good practices, photographs, videos, studies, newspaper articles etc on elementary education, State /UT wise has been developed. Its purpose is to showcase success stories and also to provide a platform for all stakeholders to learn from each other, and instill a positive competitive spirit among all the States and UTs. The second part is the online monitoring module of Shagun which measures state-level performance and progress against key educational indicators which enables the Government of India and the State and UT Departments of education to conduct real-time assessments which normal paper-based monitoring mechanisms did not allow. Through Shagun, the data collection and reporting processes have been simplified; resulting in a totally transparent and efficient system. In addition, an online Project Monitoring System (PMS) has been developed to monitor physical and financial progress of implementation of various components under Samagra Shiksha including appraisal of Annual Plans and issuing of sanctions etc. (2) In order to increase focus on quality of elementary education, the Central rules to the RTE Act, 2009 have been amended on 20th February, 2017 to include reference on class-wise, subject-wise Learning Outcomes. The Learning Outcomes for each class in Languages (Hindi, English and Urdu), Mathematics, Environmental Studies, Science and Social Science up to the elementary stage have, accordingly, been finalized and shared with all States and UTs. Learning Outcomes have been translated in different languages and serve as a benchmark for student’s capabilities to be achieved in each subject & class. (3) National Achievement Surveys are carried out by National Council for Educational Research and Training (NCERT) to assess learning achievement of children in Classes – III, V, VIII, and X. The National Achievement Survey (NAS) 2017 was held on 13th November for assessing the competencies of children at the grade levels III, V and VIII covering 22 lakh students from 1.10 lakh schools in all 36 states and UTs. NAS (2017) was administered with districts as the unit of reporting in different subject areas such as languages, mathematics, EVS/Science and Social Sciences in the Government and Government aided schools. The competency based test was based on the Learning Outcomes which were recently incorporated in the Central Rules for RTE Act by the Government of India. The National Achievement Survey for students of Class X was similarly, held on 5th February 2018, with a district level sampling framework covering nearly 15.5 lakh students using multiple test booklets in Mathematics, Modern Indian Languages, English, Sciences and Social Sciences. NAS district report cards have been shared with the States and UTs to help in identifying gaps at the district level. Subsequently, a framework of intervention has been developed and shared with States to improve the quality of learning in the schools. (4) Government of India has decided to participate in the Programme for International Students Assessment (PISA) to be conducted by the Organization for Economic Cooperation and Development (OECD) in 2021. PISA is a competency based assessment which unlike content- based assessment, measures the extent to which students have acquired key competencies that are essential for full participation in modern societies. Learnings from participation in PISA help to introduce competency based examination reforms in the school system and help move away from rote learning. The CBSE and NCERT are part of the process and activities leading to the actual test. (5) Shaala Siddhi is a School Standards and Evaluation Framework, developed by the National Institute of Educational Planning and Administration (NIEPA), which enables the schools to self evaluate based on seven key domains. (i) Section 23(2) of the RTE Act has been amended to extend the period for training of untrained in-service elementary teachers to 31st March, 2019. As per above amendment, all untrained in-service teachers working in Government, Government aided, and Private un-aided schools should acquire minimum qualification as laid down by an academic authority, authorized by the Central Government, by 31st March, 2019. The National Institute of Open Schooling (NIOS) has been entrusted to conduct this training through ODL (Open Distance Learning) mode. The online D.El.Ed. course has started from 3rd October, 2017. More than 13 Lakh teachers have joined these courses. 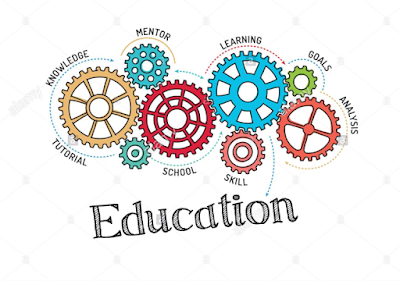 (ii) The Department of School Education and Literacy has launched an Integrated Scheme for School Education-Samagra Shiksha, subsuming three erstwhile Centrally Sponsored Schemes of Sarva Shiksha Abhiyan (SSA), Rashtriya Madhyamik Shiksha Abhiyan (RMSA) and Teacher Education (TE). With effect from 1st April, 2018. The new integrated scheme envisages school education as a continuum from pre-school to senior secondary level and aims to ensure inclusive and equitable quality education at all levels. The main objectives of the scheme are to provide quality education, enhancing learning outcomes of students, bridging social and gender gaps in school education, ensuring requisite infrastructure in schools, support to states in the implementation of RTE Act, 2009 and strengthening of teacher education institutions. (iii) The Government has also launched Rashtriya Aavishkar Abhiyan (RAA) programme on 09.07.2015, to motivate and engage children of the age group from 6-18 years in Science, Mathematics and Technology through observation, experimentation, inference drawing, model building, etc. both through inside and outside classroom activities. The Central Government, supports States and UTs on early grade reading, writing & comprehension, and early Mathematics programmes through a sub-programme namely ‘Padhe Bharat Badhe Bharat’ (PBBB) in foundational years of schooling. (iv) e PATHSHALA: a single point repository of e resources containing NCERT textbooks and various other learning resources has been developed for showcasing and disseminating all educational resources including textbooks, audio, video, periodicals, and a variety of other print and non-print materials. (v) MHRD, has launched a Massive Open Online Courses (MOOCs) platform popularly known as SWAYAM (Study Webs of Active learning for Young Aspiring Minds) on 9th July, 2017. The portal is offering various online courses for school education and higher education. NCERT has been developing course modules for Massive Open and Online Course (MOOCs) for school education system in 12 subject areas (Accountancy, business studies, biology, chemistry, economic, history, geography, mathematics, physics, political science, psychology and sociology) for classes IX-XII. Twelve (12) courses and twenty one (21) courses have been completed in the first cycle and second cycle (completed on 30 Nov. 2018) on SWAYAM platform (https://swayam.gov.in/) respectively. Nearly 22,000 students and 30,000 students were registered in the first cycle and second cycle respectively. (vi) A programme for utilization of satellite communication technologies for transmission of educational e-contents through 32 National Channels i.e. SWAYAM PRABHA DTH-TV has been launched. Central Institute of Educational Technology (CIET)-NCERT is the national coordinator for one DTH TV channel i.e., Kishore Manch (#31) and has started feeding a 24x7 educational TV channel w.e.f. 09 July, 2018. Besides, NIOS is running 5 channels for teachers, for Secondary and Sr. Secondary levels and for sign language. (vii) Performance Grading Index (PGI) - In order to objectively evaluate the performance of the school education system in the States/UTs, MHRD has designed a 70 indicators based matrix to grade the States/UTs. The indicators have been chosen after detailed stakeholder consultation and the information on these indicators is drawn from the inputs provided by the respective States/UTs. This grading system will assist the States and UTs to identify the gap and design appropriate interventions to bridge them. (viii) Unified District Information System for Education Plus (UDISE +) - Timely and accurate data is the basis of sound and effective planning and decision making. Towards this end, the establishment of a well-functioning and sustainable Educational Management Information System is of utmost importance today. Therefore from 2018-19, it has been decided to launch the UDISE+ application, so that it becomes an effective tool for decision making. The entire system will be online and will gradually move towards collecting real time data. (ix) In order to provide supplementary learning material for students and for upgrading the skills of teachers, MHRD has developed a dedicated Digital Infrastructure for Knowledge Sharing (DIKSHA) platform. The high quality e-learning material both for students and teachers are being uploaded by Ministry and States/UTs on this portal. This is expected to substantially augment the knowledge base of the students and technical skills of teachers at no additional cost.